Excellent value ! 100% human hair extensions. 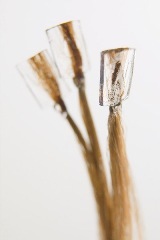 These pre-bonded square tipped hair extensions are ideal for use with single sided wand-type hair extension applicators as well as clamp type hair extension applicators.